Chemical cross-linking of monomers methacrylic acid (MAA) and itaconic acid (IA) through ethylene glycol dimethacrylate (EGDMA) was carried out for synthesizing robust hydrogel system for oral administration and tuned for targeted release of 5-fluorouracil (5-FU) and leucovorin calcium (LV) at colonic site. Aqueous-based free radical polymerization method was optimized first, and then a series of batches were prepared. Various in vitro tests were performed to probe the characteristics of synthesized hydrogels such as the presence of functional groups, surface morphology, crystalline/amorphous properties and thermal stability which confirms the cross-linking and stability of hydrogels. Swelling, drug loading and drug release evaluations were carried out at two different pH levels of 1.2 and pH 7.4. pH responsiveness was observed in synthesized hydrogels. 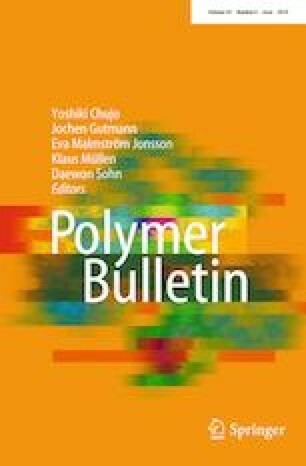 Co-polymeric hydrogels exhibited higher swelling and release at higher pH 7.4 as compared to lower pH 1.2. Moreover, an increased trend in swelling and drug release was observed for formulations with higher content of IA. Co-polymeric hydrogels were biocompatible and non-toxic to biological system as investigated by acute oral toxicity study on rabbits.